Changsha Huitang Hot Spring,Huitang WenquanThe Huitang Hot Spring is located at the southwest of Ningxiang County, Hunan Province. It is one of our country\'s three big famous high temperatures compound hot springs. Huitang, in English it means \"grey soup\", is nominated from the vapour rising out the spring. Huitang Hotspring in Ningxiang County has a history of 2000 years. The water is transparent and clear and the spring water temperature reaches as high as 89.5 degree centigrade and has 29 types of minerals that are beneficial to the human body. It has always been regarded as \"natural medical hotspring\".The hot spring area is 8 square kilometers and is rich with water volume resources. At present, the area has been developed on initial stage. The daily water supply is 3,500 tons, with almost 10,000 tons of hot spring water pending for development. The Huitang hot spring has advantageous resources and has broad development prospect. The Huitang scenery is beautiful and with good vegetation. There is the Dongwu Mountain near the hot spring; the mountain valley is profound and the spring water is rill. It is a rare place with its pleasant natural scenery and joyous countryside scenery. In the ponds near the hotspring, there herds fishes and ducks, which are quite delicious. They are called \"Tang Fish\" and \"Tang Duck\" and were tributes to the emperor in Ming and Qing Dynasties.Traffic GuideName:Changsha Huitang Hot Spring (Huitang Wenquan)City:ChangshaAddress:Ningxiang CountyAdmission:FreeTel: 086-0731-87299229 How to get there: In the West Bus Station of Changsha City, there are regular bus to Huitang Village,and the morning shift starts at 6:20 AM. 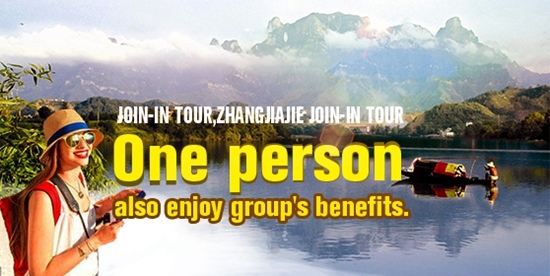 One can take bus from Changsha City to Ningxiang County and then take another bus to Huitang Village.In Ningxiang County every 20 minutes from 6:20 AM there a bus to Huitang.The buses to Lianyuan and Shaoshan also pass Huitang. Located in the northwest of Hunan Province, the city of Changde is adjacent to the vast Dongting Lake on the east, lies within easy access to Yiyang City to the south, is connected to the Wuling and Xuefeng Mountains to the west, and borders Jinsha and Yichang to the north. Due to its advantageous geographical location, the city was historically called “the throat of Guizhou and Sichuan and the gateway of Yunnan and Guizhou”. Previously it was called Changde Prefecture, and it was renamed Changde City by the State Council in June 1986. The jurisdiction of Changde covers Wuling District, Dingcheng District and six other counties including Hanshou, Taoyuan, Linli, Lixian, Shimen, Jinshi and Anxiang. Jinshi city is governed by Changde on behalf of the Hunan provincial government. Changde has an area of 18,200 km2 (116 km2 urban) and a total population of 5.87 million (500,000 urban). The city is both historically important and contemporarily famous. As an ancient city, Changde boasts a unique feature. According to scientific research, there were human beings inhabiting here some 8,000 years ago. It lay in the area of Jinzhou, one of the nine regions at the time of the Xia, Shang and Zhou Dynasties. It was the central area of Chu and Qian in the Warring States Period, while in the Qin Dynasty it belonged to the central county of Qian. It was called Wuling County in the Han Dynasty and named Langzhou in the Sui Dynasty, and Dingcheng in the Song Dynasty. In the 7th year of the Song Dynasty under Emperor Huizong (1117 AD), Changde County was established, and in 1165 AD (the first year of Song Emperor Xiaozong), it was upgraded to be Changde Prefecture. The name of Changde has been used ever since. Changde has produced many important figures in Chinese history. Many fine works of literature praising the beauty of Changde’s landscapes have been written here by many historical masters like Qu Yuan, Tao Yuanming and Liu Yuxi. In contemporary times, a group of important people and revolutionaries emerged from here, including Lin Xiumei, Jiang Yiwu, Song Jiaoren, Lin Boqu etc., and literary celebrities such as Ding Ling, and Jian Bozan (former president of Beijing University). History has given Changde both unique natural scenery as well as historical sites. At present, more than 500 relic sites from the Paleolithic and Neolithic Eras have been discovered. Among the 276 specially protected relic sites already discovered, 15 are of national value and 14 of provincial value. Located in this beautiful land are three national forest parks, three provincial forest parks, one nature reserve, and one provincial tourism area. 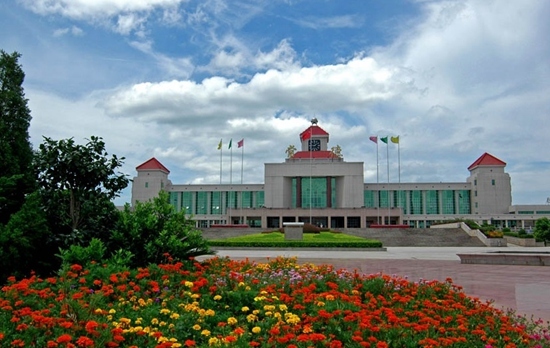 Taohuayuan Resort, a well-known historical resort enjoying fame at home and abroad, has become a modern place of sightseeing where people enjoy the beauty of nature in a unique setting. It is worth mentioning that Changde Poem-engraved Wall, designed on the basis of displaying many famous poems and articles by ancient and modern celebrities and created with the expert help of a group of famous Chinese calligraphers, painters and carvers, adds a new cultural view to modern Changde.With great potential in natural resources and considerable strength in its modern economy, Changde City enjoys pleasant weather and multiple landforms. The Yuan River and the Li River, admitting different sources of water, run through the districts and counties in Changde. The city is home to some 2,472 types of animals and plants, including 24 types of rare animals. Among nearly 100 kinds of minerals, the reserve amount, quality and yield of realgar rank number one in China. The yield of salt, gold, gypsum, bone coal, quartz sand and bentonite are on the top in Hunan. In addition, reserves of silicon sand, gypsum, marble, granite, barite, diamond, talc, ground phosphate rock, soft coal and bone coal are abundant in Changde. 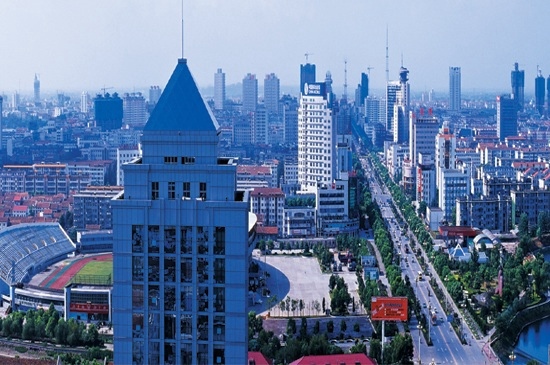 Since the liberation in 1949, and especially since the implementation of reform and free-market policies, the people of Changde have grasped the opportunity to open and develop the region. Coupled with a strong agricultural base, Changde’s economy has been increasingly strengthened. As one of China’s main areas of grain and cotton produce and the biggest producer of grain and cotton in Hunan, Changde has built an export-oriented agricultural economy. At the same time, it has formed an industry with unique characteristics: major local industries include tobacco, food, textiles, electronics, chemicals, construction materials, bamboo and special cement. Over 400 products, including Gold Lotus series cigarettes, Wuling Wine, Deshan Liquor and Special Cement, have won the title of “High Quality Commodity” awarded by the State, Ministries and the Province. They are marketed nationwide and some of them have even penetrated the international market. The city also organises local business fairs that are adequately distributed between urban and rural areas. Numerous modern hotels, guesthouses, department stores and recreational centres have been built to provide excellent services. The annual business volume at the Qiaonan Market alone has reached more than 11.5 billion Yuan. Changde’s high-tech industries are also promising. In recent years, Changde’s infrastructure has been improved daily, and development prospects are becoming more attractive to investors. A local 3-dimensional transportation system has taken shape incorporating aviation, rail, road and waterways. The 4C level airport where Boeing 737 and 757, Douglas 80 and 82 planes can land and take off has opened seven flight routes to Beijing, Shanghai and Guangzhou, etc. Two major railways, the Zhicheng-Linzhou Railway and the Shimen-Changsha Railway, pass through Changde City connecting to the Jiaozuo-Zhicheng Railway and the Beijing-Guangzhou Railway. By building the Yuan River Bridge, Li River Jinshi Bridge, Li River Shimen Bridge and Anxiang Dajingang Bridge, the Yuan and Li Rivers have become traversable waterways. The widened and reconstructed National Highways G207 and G319 connect all major regions and lead to 8 other provincial routes. By the end of 1998, an expressway from Changde to Changsha had been open to traffic. The total length of accessible land roads and waterways in Changde is estimated to be more than 6,200 km and 2,400 km respectively, and the 36 docks along the Yuan and Li Rivers have a total capacity of 10 million tons per year. Both passenger and freight ships can now sail directly to the Dongting Lake and the Yangtze River from Changede. Local power stations can generate 1.4 million kw of electric power to meet demands in the urban and rural areas. The Shimen Thermal Power Station, with the largest generating capacity in Hunan, is now in operation. Being the first of its kind in Hunan, the station’s first stage has been completed and is now in operation. Changde has installed a total number of 135,000 advanced digital telephones that link towns and factories, and connect Changde to 180 foreign countries. 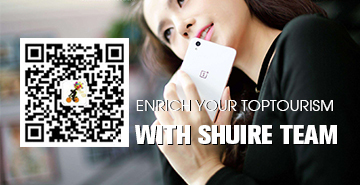 Mobile telephone services are available in Changde’s nine districts and counties. Combined with its constant urban expansion and improved management, the city enjoys tidy and clean streets (about 100 km in length), and has ample water and electricity supplies. It also provides complete services in banking, consultation, auditing, notarization, law, commodity inspection and customs. Changde is an inland city, but its geographical location makes it a great gateway to the interior. Its development has now been greatly contributed by the famous Three Gorges Project in the neighboring Hubei Province. Changde has become a frontier city connecting the Three Gorges to Hunan Province, which will in turn help in opening up and developing Hunan Province.Changde is embracing new opportunities with further reform and development in line with the construction of a harmonious society. We warmly welcome friends at home and abroad to visit Changde, invest in our local economy, and work together to develop a bright future. Changde Railway Station is located at the end of Wuling Road. Passengers from here can reach many big cities such as Beijing, Shanghai, Luoyang, Guangzhou, etc. The construction of Liuye Lake Bus Station began in 2008, and it went into service in September 2009. 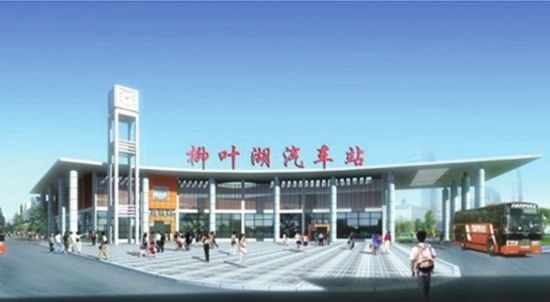 Adjacent to the Liuye Lake and National Highway 207, it is a first-class bus station covering an area of about 50 mu with a total investment of 40 million Yuan. There are supermarket, a passenger lounge, a smoking room, drinking fountains, WC and a large TV screen for passengers to enjoy. Additionally, to offer more convenience to passengers, there is also a place for you to keep your small articles, as well as easy-access facilities for the disabled. The Bus Station, comprising 28 routes, enables you to get to 2 provinces, 3 cities and 10 counties. Each day, 531 buses meet the average transportation capacity of 10,000 people. Taohuayuan Fairyland is situated in National 4-A Tourism Scenic Spot Taohuayuan, Taoyuan County. 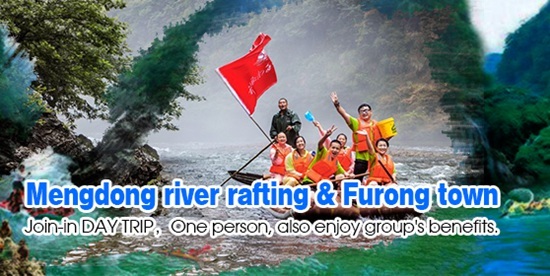 Being an extraordinary geographical location, it is adjacent to Wuling on the south and Yuanjiang River on the north. Portrayed as a fairyland by the Eastern Jin Dynasty poet Tao Yuanming (about 365—427) in his famous Records of Peach Blossom Source, Taohuayuan, with a long history of more than 1600 years, is renowned at home and abroad for its pastoral beauty of its mountains and waters, and for the popularity of its temples and tablets.. Shiwaitaoyuan(世外桃源，a hidden paradise) has for generations represented mortal beings’ spiritual dwelling and ideal pursuit. Location: Taohuayuan Tourism Resort is located in the lower reach of the Yuan River and in the southwestern part of Taoyuan County. 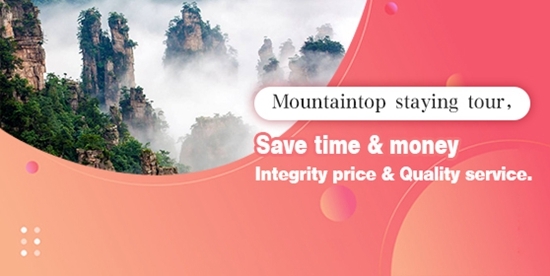 It includes Taohua Mountain, Taoyuan Mountain, Qin Dynasty Village, Taoxian Mountain, the Lingjintan Scenic Spot, the Yiwangxi Scenic Spot, and the 69 km Yuan River Tourist Line. It has a total area of 157.55 km2. Its scenic area incorporates five villages and towns: Qinglin Village, Zhangjiang Town, Taohuayuan Town, Lingjintan Village and Xinglongjie Village. History: Taohuayuan is the prototype of a wonderful place far from the cruel reign of the Qin Dynasty described in Records of Peach Blossom Source by Tao Yuanming, a famous poet in the East Jin Dynasty. It has a 1,600-year history and has been regarded as a Shangri-la by later generations. Taohuayuan was first built in the Jin Dynasty (256-439 A.D), began to take shape in the Tang Dynasty (618-709), flourished in the Song Dynasty (960-1297), and went to ruin in the Yuan Dynasty (1297-1368). With ups and downs through the Ming Dynasty (1368-1911), it was almost abandoned in the times of the Republic of China (1912-1949). Its restoration began in 1949 and a large-scale expansion and development began in 1990. Even 5,000-6,000 years ago, fishermen lived in the Taohuayan Scenic Area. It belonged to the Chu Kingdom in the Warring States Period, Qianzhong Shire in the Qin Dynasty, Yuannan County of Wuling Shire in the Han Dynasty, and Yuannan County of Jingzhou Wuling Shire in the Jin Dynasty. In the early Tang Dynasty, the government defined the range of the Taohuayuan Mountain. Liu Yuxi, a famous litterateur in the Tang Dynasty, often went sight-seeing in Taohuayuan and wrote Beautiful Scene of Taoyuan when he was demoted here. In the first year of the Qiande Period of the Song Dynasty (963), the government Pided the area into the middle and lower reaches of the Yuan River in Taohuayuan, and it established a new county called “Taoyuan” where there were scenic spots and historical sites. In the first year of Zhenghe, Emperor Hui of the Song Dynasty wrote “Taochuan Longevity Palace” on a stele and sent it to Taoyuanyuan. After that, it became even more famous. Even in the Yuan and Qing Dynasties and during China’s Republican Period when the area found itself intermittently in either prosperity or depression, Taohuayuan was still of great charm.Culture: Since the birth of Records of Peach Blossom Source by Tao Yuanming in the Eastern Jin Dynasty, later generations have continually praised Taohuayuan in writing. As a result, both its scenery and the writings about it became famous. The wonderful place far from the cruel reign of the Qin Dynasty described in Records of Peach Blossom Source by Tao Yuanming was admired and praised by the later litterateurs as the prototype of “Shi Wai Tao Yuan (remote retreat)”. Many famous poets, litterateurs, officials and Taoists since the Tang Dynasty have had a special longing for it and tried their best to praise it. Such famous litterateurs as Meng Haoran, Wang Changling, Wang Wei, Li Bai, Du Mu, Liu Yuxi, Han Yu, Lu You, and Su Shi have left a legacy of many valuable poems and proses. There are now 45 volumes of various Collections of Writings about Taohuayuan and Annals of Taohuayuan from different periods, more than 2000 verses, more than 130 thousand characters of prose, 107 horizontal inscribed boards and couplets, 108 pieces of inscribed and engraved stone tablets, more than 600 paintings and more than 40 folklores about Taohuayuan.Brand: In 1959, Taohuayuan was placed on the list of “Provincial-level Key Cultural Relics Under Protection by the Hunan Provincial Government”. In 1987, it was listed as one of the “Top Ten Scenic Spots of Hunan by the Hunan Provincial Government”; in 1992, it was approved as a National Forest Park by the Forestry Ministry of China. In 2001, it was approved to be a National AAAA Grade Scenic Spot by the National Tourism Administration of China; and in 2004, it was approved to be a Key National Scenic Spot by the State Council. On the 24th of March 1995, President Jiang Zemin came to Taohuayuan. After making an inspection tour of cultural relics and natural landscapes, he said “This is the real Taohuayuan described by Tao Yuanming” and he wrote an inscription as a memento. It was also appraised continually for 4 years as one of “the Best Scenic Spots of Hunan” and as a “Civilised Forest Park of Hunan”. 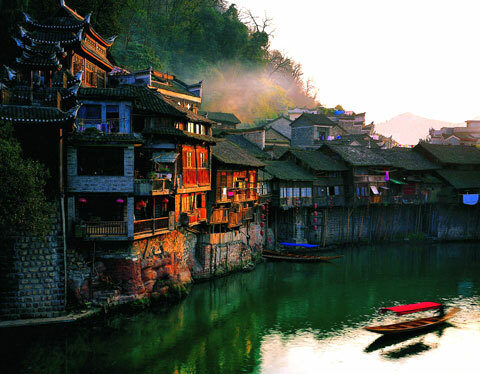 In 2000, Taohuayuan was recognised as one of the 50 scenic spots you have to visit in your lifetime. On the 12th of June 1998, in the Fifth International Conference for the Grammy Awards for the Golden Tourism Lines co-held by Tourism Weeks and the Japanese Writers Association in Osaka, Japan, the tourism line of Changsha—Taohuayuan—Zhangjiajie was awarded the “Destination Special Development Award”, being one of the two awarded golden tourism lines of China.Transportation: Taohuayuan, located in the northwestern part of Hunan Province, is the gateway to the western part of China. It is surrounded by Changsha, Shaoshan, Zhangjiajie, Three Gorges, and Western Hunan Autonomous Prefecture and has a distance of about 200 km to each of them. It has convenient air, water and land links, with the National Highway 319 running through the area, the National Highway 207 passing by its eastern part 30 km away, and is 40 km away from the Changsha-Changde Expressway, 20 km away from the Taoyuan Toll Gate on the Changde-Zhangjiajie Expressway, the Changde-Jishou Expressway and the Changde-Shaoyang Expressway, Changde-Yueyang Expressway, Changde-Jingzhou (Hubei Province) Expressway. The Yuan River, a main waterway of Hunan Province, can directly reach Yueyang and the Yangtze River by passing through the Dongting Lake. The Shimen-Changsha Railway (from Shimen to Taoyuan to Changde to Yiyang to Changsha) has a main railway station in Changde which is only 50 km away from Taohuayuan and provides a convenient connection between Taohuayan and the cities along the Beijing-Guangzhou Railway and the Jiaozuo-Liuzhou Railway. Taohuayuan Airport, a National Second Level Civil Airport, is only 34 km away from the scenic spot and has already opened airlines to Shenzhen, Guangzhou, Beijing, Shanghai, Haikou, Kunming, Chongqing and so on.Animals and plants: Taohuayuan has a favourable environment for animals to live and has a complex food chain. It has a rich resource of animals and plants. There are 255 kinds of beautiful exhibiting animals, among which 230 are wild, forming 90% of the total, and 25 are tamed, 446 kinds of woody plants, among which 63 are peach species, forming 13.8% of the total, more than 740 kinds of herbs, among which 238 are beautiful and fragrant group plants.Service facilities: In the Taohuayuan Tourism Resort there are more than 10 hotels and more than 30 restaurants, with a reception capacity of more than 2,000 tourists per day; there is a national primary-level power supply line, a waterworks with a production capacity of 40 thousand tons per day, Changqing Gas Station, a petrol station co-managed with the Changling Refinery, a post office, two China Mobile micro receiving towers and two China Unicom micro receiving towers and 2,000 programmed control telephone exchangers. 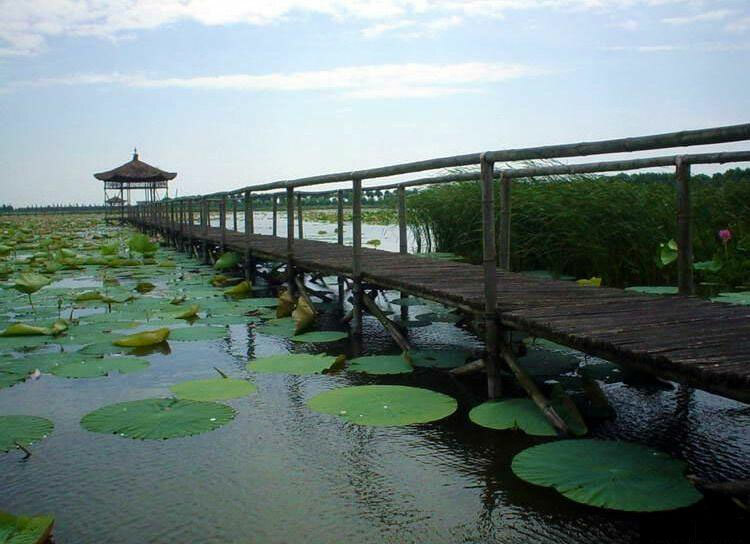 Xidongting Wetland is located in the eastern part of Hanshou County, Hunan Province. It covers an area of 35,680 hectares and it is the entrance to the Dongting Lake, China’s second largest freshwater lake. 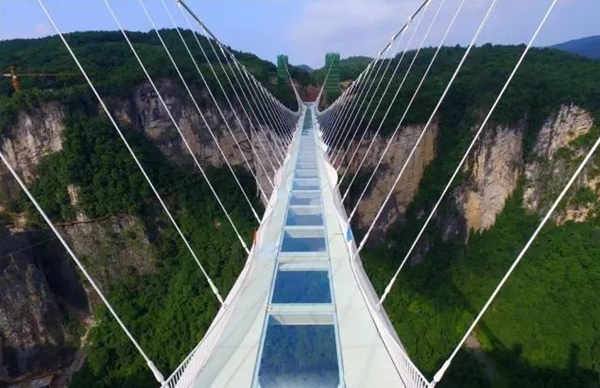 It is the bridgehead of the golden tourist route of Changsha-Zhangjiajie, only a hundred kilometers east of Changsha, 40 km west of Changde, and about two-hours drive from Zhangjiajie. 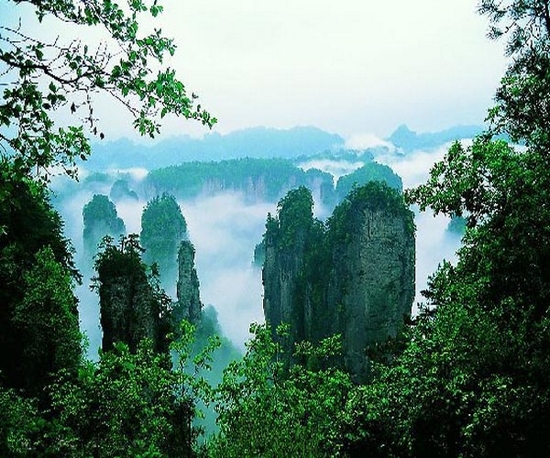 In 1998, as approved by the Hunan Provincial Government, it was established as a provincial nature reserve. In 2002, it was included by UNESCO on the “List of 30 Wetlands of International Importance”. In 2005, it was designated by the National Ministry of Construction as one of 9 National City Wetland Parks. In 2008, it was granted the title of National AAA Scenic Spot by the National Tourism Bureau. Xidongting Wetland is like a natural maze. There are abundant waterways and various islands with endless reeds together with a rich production of fish and rice. It is also known as a biological gene bank because it is the habitat for 416 different wet plants, 217 species of birds, and 118 species of fish. It also boasts a profound cultural influence as it is the birthplace of the Canglang Culture. Qu Yuan, the ancestor of Chinese Yongwu Poetry, once lived here and created many verses to honour the Dongting Lake, as did other men of letters, providing many local legends and a rich local mythology. Within the wetland there are more than 30 eco-tourism attractions and 4 cultural spots. It is becoming ever more popular among tourist agencies and travelers alike. The Changsha-Zhangjiajie Expressway passes through this area with two exits at Junshanpu and Taizimiao. There is a county level railway station at Taizimiao on the Shimen-Changsha Railway. The No.319 National Highway and S205 Provincial Highway run through this area eastward and southward respectively. It is also within easy reach of the Huanghua International Airport (1 hour away) and the Taohuayuan Airport (40 minutes away). 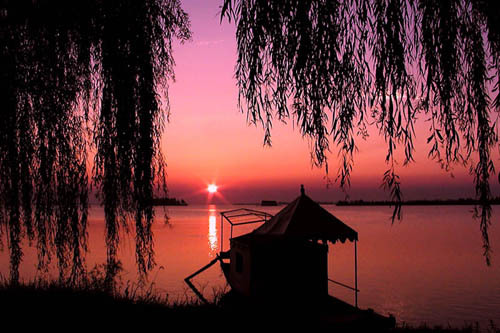 It provides waterway transportation which can reach many other places via the Dongting Lake. The Jiashan Mountain Scenic Area stands in Jinshi County located in the Northwest of Hunan Province. It consists of 4 sections, namely, Jiashan Mountain, Xujia Lake, Shiling-Qingshan Scenic Area and Gucheng Scenic Tourism Town, covering an area of 17.35 km2. As the core scenic spot, Jiashan Mountain is located at the edge of the Wuling Range, with the Dongting Lake to the East, Li River to the West and an idyllic countryside area to the South. Jiashan Mountain occupies an area of 2 km2 with a height of 147.07m. 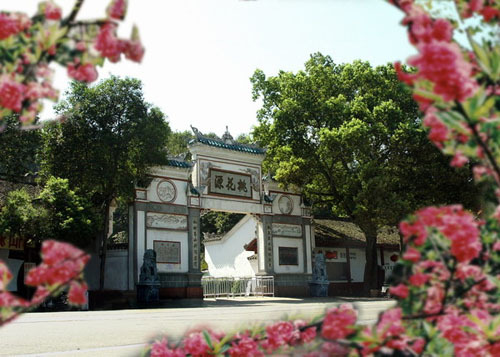 About 0.5 km South of Jiashan Mountain lies the birthplace of Mengjiangnv. According to accounts in the “Story of Mengjiang Mountian” written by Quo Qing in 1867 (the sixth year of Emperor Tongzhi’s reign), Jiashan Mountain was called Cuilu before the Qin Dynasty. After a long trek searching for her husband (Fan Xi), Mengjiangnv failed and cried at the Great Wall. The Great Wall collapsed before her and Meng recognised her husband’s skeleton by shedding her blood. She decided to return to their hometown with the bones but died at Tongguan, Shanxi. 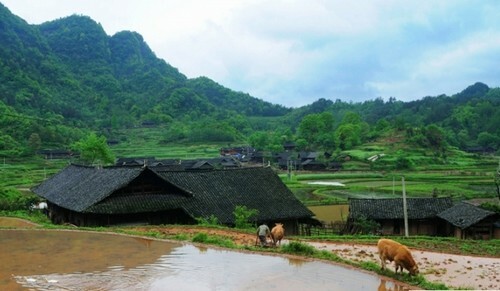 The local residents were so moved by her story that they decided to rename their town Mengjiang Mountain, commonly known as Mengjia Mountain. During the period of Emperor Hongzhi in the Ming Dynasty (1488-1505), Li Rugui, the minister of two major departments at that time, was a Lizhou local. Mengjia Mountain was renamed Jiashan Mountain (the Chinese character Jia means “to praise”) by Li Rugui to honour Mengjiangnv. Jiangnv Temple, or Jiangnv Shrine, was built there by other people. It consists of more than 30 houses, with an Entrance Hall, Main Hall, Back Hall and Temple Hall. The Temple experienced destruction and underwent reconstruction many times. In January, 1954, it was laid in ruin after a fierce fire. In the front of the Temple, there was ‘Wangfu Platform’ (a platform used to long for Meng’s husband) and a ‘Mirror Stone’. The well on the Southern slope of Jiashan Mountain is also famed to be a spectacular scene, having existed for a thousand years with constant fresh water. It is said to be the place where Mengjiangnv was bathing as Fan Xi hid behind a tree and peeked at her, after which they became married. This well was thus named the ‘Bathing Well’. Legend has it that lovers can be blessed and have children if they drink water from it. Jiashan lies between Changsha and Wuhan and thus enjoys a unique advantage in terms of transportation links. The Xiangbei Expressway and Taiyuan-Macau Expressway (to be constructed) pass through Jinshi County. It connects the Shimen-Changsha Railway and Zhicheng-Liuzhou Railway. Taohuayuan Airport is also only 80 km away from Jinshi City. Near the city is the Li River, which runs eastward to the Dongting Lake and boasts one of the six major ports of Hunan Province. It is navigable for 500-ton vessels all year round to places as far as Changsha, Wuhan, and Shanghai. Liuye Lake Resort lies in the northeastern corner of Changde City proper. It is a harmonious integration of lake, city as well as hills. It has a planning area of 175 km2, in which water area occupies 21.8 km2. It is one of the largest city lakes in China. 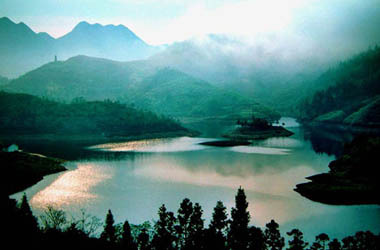 In ancient times, the belt-shaped lake was well-known for its beautiful scenery with the “willows on the bank swaying in the wind, songs of fishermen spreading from the boats on the lake, pine trees singing in the gentle breeze, and the lake framing a belt of water.” At present, it is recognized as “A Jewel of Hunan”, and “The Best Wonder of Changde”. It is also one of the “Best Natural Aquatic Sports Fields”, as wells as an “Urban Aquatic Paradise”. In 2001, the Liuye Lake was officially recognised as a national AAA tourism spot; in 2006, it was selected as one of the “New Top Eight Scenic Spots of Hunan”. After its construction, it hosted a series of important sports events, including: The Aquatic Sports Events of the Eighth Sports Meeting of Hunan Province, the Eighth Asian Kayak Championship, the All-Star Chinese and American Water Skiing Competition, and the First Short Track Rally of China, etc. Within the resort there are Baihe Hill, Huashan Hill, and Taiyang Hill, all covered with pine and fir trees, and islands in the lake shimmering like emeralds in blue water. Also, Yinyuan Garden, Wujianping Terrace and Mount Zhangjia, a graveyard since the Warring States Period, add a rich cultural atmosphere to the natural scenery. It enjoys convenient transportation links, only 10 km away from Taohuayuan Airport and a 10-minute drive from the downtown area from where tourists can reach all parts of China by train or bus.